The time has finally come for me to replace my original Merrell Barefoot shoes. While they are still comfortable, the shoe is starting to fall apart. I don’t want a shabby looking shoe for spring; however they did last about a year. I’ve decided to go with a darker color this time, well not so much decided as it was the color on sale. While they have released a number of new styles and colors, I still went with the Pace Glove. I like the simple and less flashy look. I’m sad to say that they don’t fit was well. The heel is tighter, the shoe is a bit shorter and they just don’t feel the same. This is a bit disappointing; in my option one of the best features the shoes had was comfort from day one. The new ones rubbed a bit the first few times I ran, not the end of the world for me but it would be for someone new to Barefoot running. They feel a little tighter all around, which has lead to me wearing a thin liner sock most of the time. I have discussed in the past how wearing a liner does help keep the shoes from forming a gross buildup inside. I do hate to write this about a brand I love so much but hey I also want anyone trying Barefoot for the first time to have a good experience. 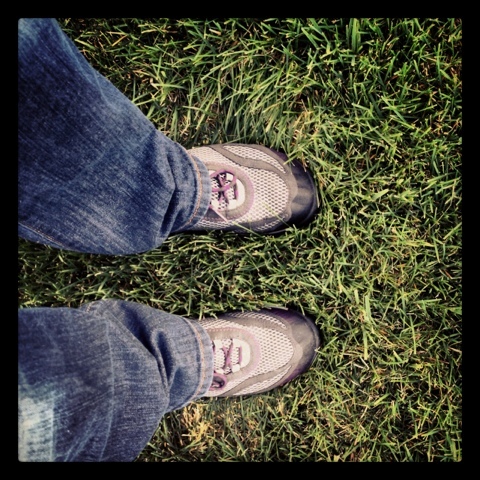 This entry was posted in Going Barefoot, Product Review and tagged Barefoot Shoes, Go Barefoot, Going Barefoot, Merrell Barefoot. Bookmark the permalink.